While the organization may be down on Dominic Smith and rightfully so, this is actually a good opportunity for Smith. 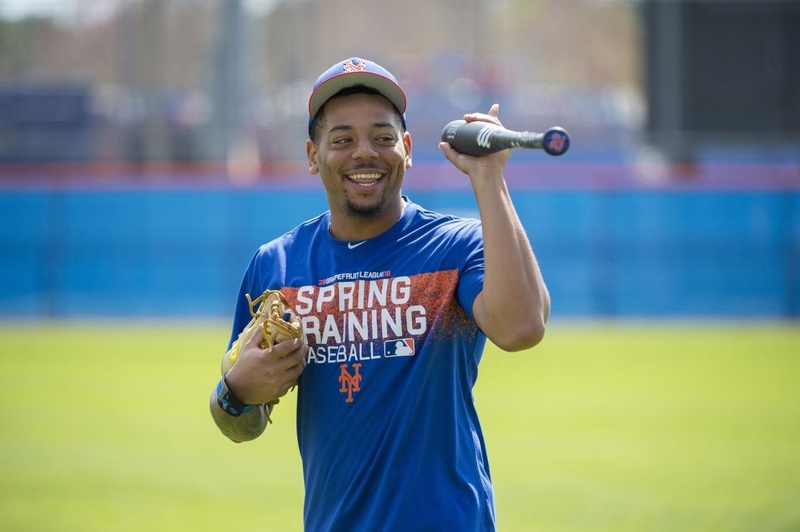 He’s more than likely not going to move up the Mets depth chart for the regular season, but he’s going to have the chance to put on a display this spring. Whether or not he takes advantage of this opportunity is a complete different story, but it’s going to happen. He should be at an advantage while coming to terms of understanding where he lies within the organization, the pressure should be fully off of him by this point and he’s going to be facing pitchers that are more focused on mechanics, rather than immediately looking for the kill. Honestly, It’s so easy to forget that the Mets first round draft pick is only 23 years old, a year younger than top prospect Peter Alonso, so the time to fill out his potential is there. It’s just unlikely to be in Flushing, Queens. Smith will play this spring with nothing to lose because there genuinely might not be anything left for the young first baseman to lose at this point in his professional career. This should give him a chip on his shoulder, maybe just the one he needs to jumpstart his Major League career. Smith came into camp in impressive shape, he looks like he slimmed down as well as toned out his body during his off-season work out program. He only has 305 career At-Bat’s and has a slash line of .210/ .259/ .406/ .665 with 14 home-runs and 37 runs driven in. While these numbers are underwhelming, Smith was still a reliable first baseman, defensively. Previous Mike “The Sports Pope” Francesa speaking out of school about the Jacob deGrom Contract.